It’s important for businesses to take advantage of social media, but simply using the platform isn’t necessarily enough. Run your Instagram the right way by following these essential rules. Hashtags and geotags are an essential feature for reaching a new audience on Instagram, but that doesn’t mean you should go overboard with this opportunity. If you use geotags, for example, make them relevant. Don’t just choose random geotags that have nothing to do with your business and nothing to do with where the photo was actually taken or what the photo shows. Same goes for hashtags. And don’t tag random users with no association to your or your business, either. You may get some attention this way, but that attention may come in the form of getting blocked by the person you’re trying to appeal to. Make your feed something your intended audience will actually want to follow by providing high-quality, carefully curated images that say something important about your brand. Think carefully before you post—is this image going to stand out among the crowd? Will it get someone randomly browsing a geotag or hashtag to engage? This usually means avoiding posting too many text-only images and instead focusing on the unique elements of your brand identity. Beyond simply using appealing images, you should use those images to tell the story rather than needing a caption to provide context. Use captions for hashtags, image credits and brief notes. In essence, you should assume that most of your followers aren’t going to read your captions. This means that if you want to announce something like a giveaway, sale, special event or product launch, you can take advantage of one of your rare text-focused post opportunities. The last thing you want for your Instagram ad campaign is to create an image that obviously doesn’t belong in a user’s feed. 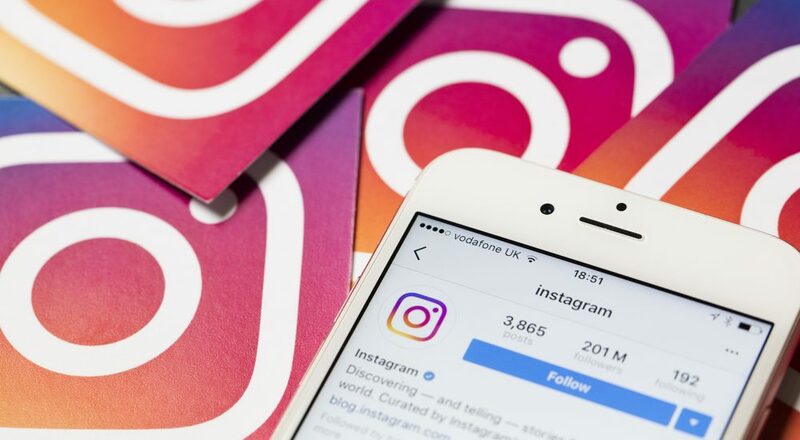 Instagram offers powerful tools to help you target your ads to specific types of people, and if you know what audience you’re going after, you should also know what images are most likely to show up in their feeds. Use this information to make your ad so appealing it won’t simply get the scroll-past treatment. Instagram bios should be short and sweet, but they should also be informative. Provide a link to your website and describe what your business does. Don’t go overboard—remember that the most effective text on Instagram is concise and to the point. Think carefully about your audience and set the right tone for your brand. If you’re trying to attract sophisticated men and women in their 40s, for example, a huge block of emojis in your bio isn’t going to send the right brand message. If artsy images and concise branding aren’t really in your wheelhouse, you can still set yourself up for Instagram success. Our marketing experts can take the reins and transform your Instagram into an effective promotional asset.